Did you hear me speak at an event but didn’t get a chance to connect afterwards? Did you see me online, read about me in an article or see me on TV? Did you catch an episode of Like a REAL Boss podcast and want to listen to more episodes? Were you referred by a friend? Get a paperback copy of Undefeatable: Conquering Self-Defeat and F’d Up: The Upside of Failure on Amazon. E-books are available for the tech savvy reader for a significantly reduced rate. If you want to know where I’ll be speaking next, connect with me on Twitter, on the Facebook Fan Page or on LinkedIn. For speaking engagements email bookings@nolimit2yoursuccess.com or reach a booking agent at 800.349.0941. "Tiana helps us to understand that failure is the 'secret sauce' of reinventing ourselves to live a life we love. This book gives us permission to see the opportunity in the failure and not the obstacle." "This book is educational and inspiring! Tiana has carefully targeted young adults and emerging leaders, preparing each one by proclaiming there are tangible benefits when we experience failure. The bonus curriculum adds tremendous value for the reader." "Tiana Sanchez has done it again. 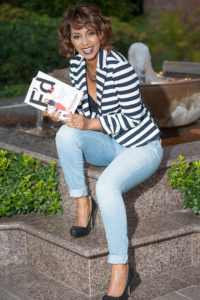 Her new book shares how to turn failure into success. A must read if you plan to fail or have failed and you want to be able to succeed in the future."